The award winning Redcar & Cleveland Leisure Centre and Community Heart establishment opened its doors in Redcar, North Yorkshire. The £31 million flagship development includes sports and leisure centre, swimming pools, civic facilities, business centre, and multi-functional meeting and community spaces. Having received Constructing Excellence and Regeneration Awards, the development has been built with energy performance in mind, using durable materials, solar shading fins and LED lighting. Hacel Lighting were at the forefront to provide a range of high efficiency products, bringing together architectural style and innovation with outstanding performance to create an engaging and inspiring environment. 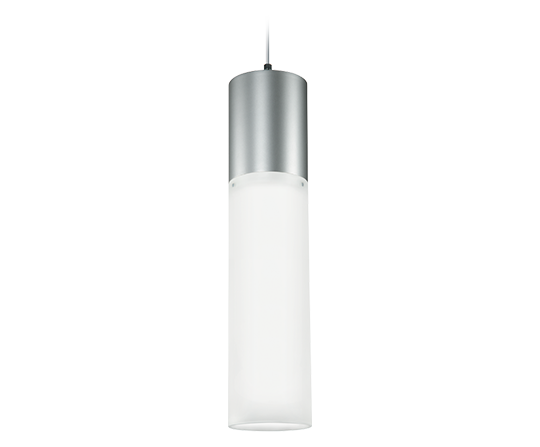 An inspired design, beautifully crafted with a union of etched glass and LED technology, the Vici Pendant radiates style and outstanding performance. The modern, contemporary luminaire creates a focal point synonymous with style and sophistication.